Grind coconut, dal, jaggery, ginger,chillies,4 to 5 curry leaves, tamarind along with soaked water(make sure there are no seeds) and water to a fine paste. I used around 1¼ water. Transfer the chutney to a bowl. 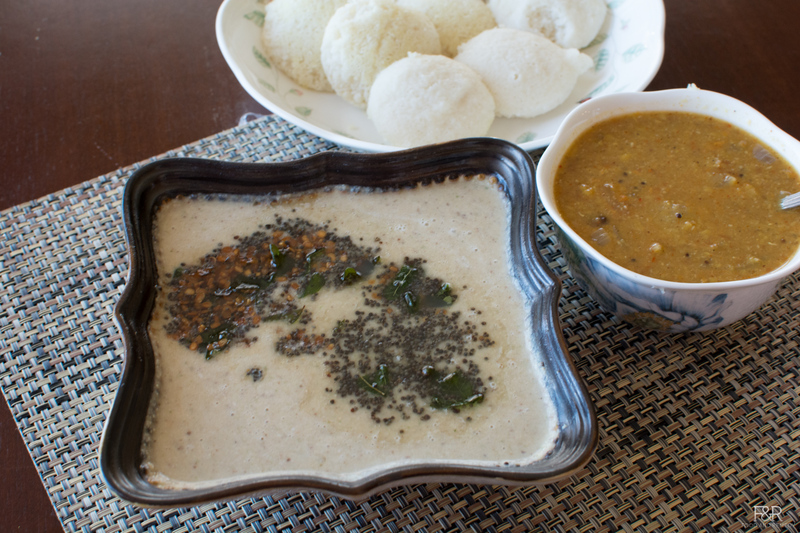 Add urad dal and fry it until dal turns golden brown, add curry leaves and turn of the heat. Pour this seasoning on the chutney and mix it .